Come March, season for mangoes. 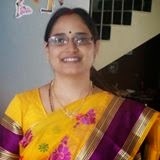 Whenever I go to vegetable market in this season first I look for mangoes only. Surely will get not less than six mangoes for one week. With mangoes around I found it easy to make one accompaniment for rice. 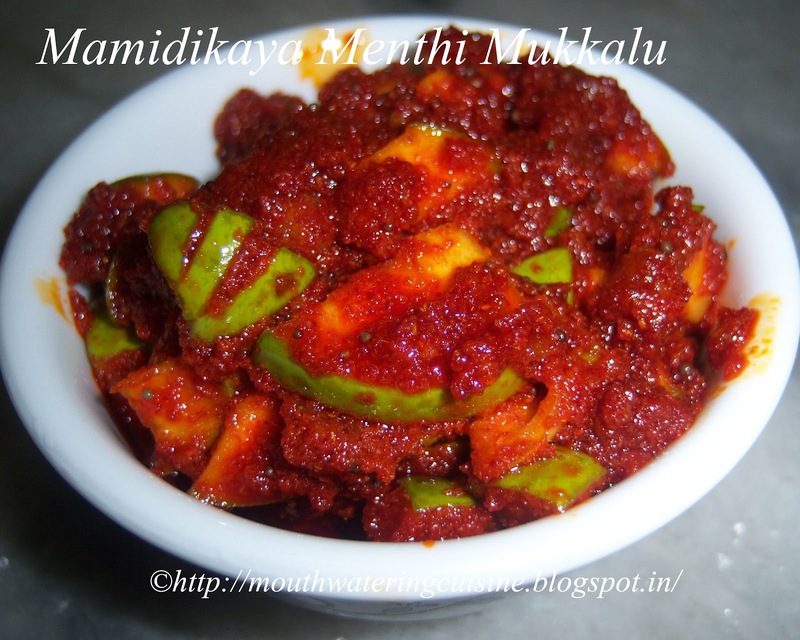 Check out this blog for more recipes with mangoes.. Mamidikaya Chaaru, Mamidikaya Pappu, Mango Juice, Mamidikaya Pulihora. Today we will learn another variety of Mango pickle. This is a time being pickle because it cannot be stored for more than a month. Till we prepare mango pickle for annually we use this, so called instant pickle. It has sweet, sour and spicy taste. It can be served with rice and I like it as a side dish for curd rice. Cut mango into cubes. Need not remove the skin, cut them neither too small nor too big. Heat oil in a kadai, add mustard seeds. When they start spluttering switch off the flame and add turmeric powder, fenugreek powder, asafoetida, salt and jaggery. Mix well and allow this to cool completely. Once the oil cools completely, add red chilli powder and mix well. To retain the red colour, add chilli powder only when the oil is cooled completely. Add chopped mango pieces and mix well. Check the taste for salt. This pickle releases water and juice only after 10 hours. But it can be served immediately. Soon after preparation it looks like dry chutney only, but once it started releasing water it will become juicy. Serve instant mango pickle with hot piping rice. 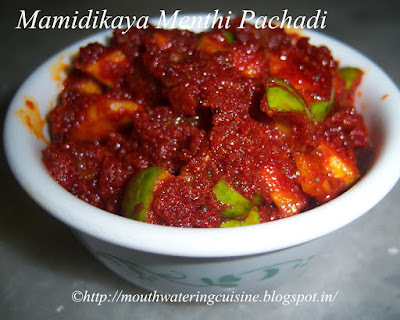 For more pickles and chutneys click here. Thank you for visiting my blog. Hope you all liked my recipes. Any feedback and comments are appreciated.